Indian Constitution is one of the finest in the world which came into effect from 26th January 1950. India, being the largest democracy of the world is a sovereign state and it’s Constitution has been praised worldwide. 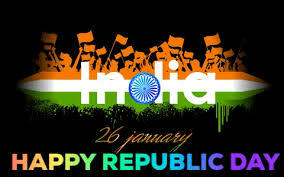 Popularly known as the Republic Day, 26th January is one of the National festivals apart from Independence Day and Gandhi Jayanti, both of which are celebrated on 15th August and 2nd October respectively. Independence Day marks the celebration of India becoming independent from British regime way back on 15th August, 1947 while Gandhi Jayanti is celebrated as to remember Mohandas Karamchand Gandhi, popularly known as Mahatma Gandhi to mark his birth anniversary. He is also known as the Father of Nation. On the eve of Republic Day, the President of India hoist the national flag and addresses the nation at Rajpath, New Delhi. Also Governor of different states hoist the national flag in the State capital. This day is celebrated proudly across the nation.